Metal + Glass 8 week course. April 4th start. 6:30-9:30pm Wednesday evenings. The lab fees offer tools and materials for students to continue projects at home and start setting-up their own studio. Lab fee 2 (kit) Option 2 Please visit the Metal Workshops (bottom of page) for what is included in this option. 9 weeks, Starting April 5th $380pp includes all materials necessary for projects. Build a hollow-form pendant/ring and construct a locket with hinge and locking mechanism. Learn basic, hand built prong settings, tab settings, and setting free-form cabs. Etching copper/brass and Sterling silver. Working with photos, computer renderings and hand drawn images students will learn various method of applying imagery and working with mordants to etch into metal. Students are welcome to bring in their own found items, cabochons, etc., to use in their projects. Friday evening April 1st intro 6:30-8pm, noon to 5pm Saturday and Sunday April 2 & 3rd, 9th & 10th – pricing options below. and working with silver solder in wire form. ring. Large oval or round cabochon stones will be set. Multiple stone settings are optional. Each day runs 5 hours in length. Students have the option of coming in to work on their project (lots of sawing!) during Open Studio on Tuesday and Thursday evening between the course. Evening intro: Course goals/objectives are discussed, students look at soldering demos, inspiration. Start to layout patterns and designs for sawing. 1st Afternoon: Students layout their designs and start sawing them out. Once designs have been sawn out, sanded/filed, cleaned up- sweat soldering designs onto ring blanks begins. 2nd Afternoon: Continuing sweat soldering, forming of ring blanks begins, inner ring is formed. Joint soldering begins (wire solder introduced), students continue truing their rings, forming, and clean-up. 3rd Afternoon: Bezel ‘cups’ are constructed and soldered into place. Filing, sanding and rings are starting to be cleaned. If students are ready to set their stones- quick pendants can be made on this afternoon practising soldering techniques. 4th Afternoon: Rings are ready for patination and polishing, stones are set. Final polish! Early group dinner? For this workshop students have the option of bringing in their own supplies (listed above & mandatory!) or purchasing the course with a ‘kit’ that includes items listed. Please note that these materials will only be purchased when you purchase the ‘Full monty’ option. For this workshop students have the option of bringing in their own supplies (listed above-mandatory!) or purchasing the course with a ‘kit’ that includes items listed. Please note that these materials will only be purchased when you purchase the ‘Full monty’ option. 4 Sessions: Saturday & Sunday afternoons, noon – 5:30/6pm, Next course starts March 19th $430 includes materials. This course is perfect for people looking to turn non-glass items into glass. 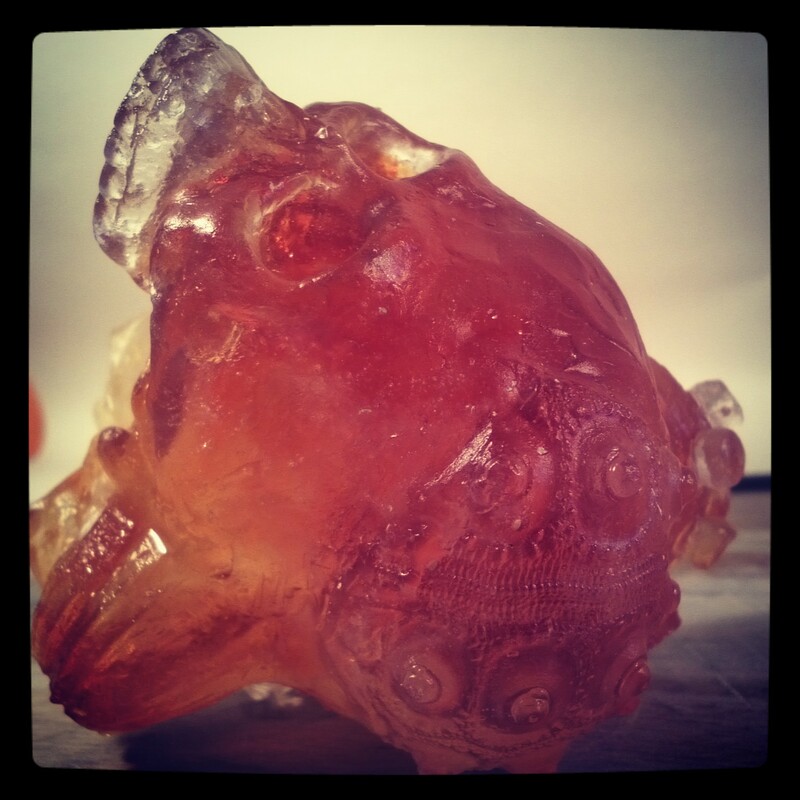 Using the lost wax casting process and/or Pate de Verre, this course covers various mould making techniques. Adding metal inclusions. Packing moulds with glass, casting and annealing cycles, working with alginate and silicone moulds to replicate pieces. Students will learn how to hand finish pieces; grind, sand, and cut glass. Participants in this class will create beautiful and original sculptures, while learning the infinite possibilities of Kiln casting and Pate de Verre. Participants create recycled glass tiles, pate de verre objects, lost wax cast sculptures and more. No experience necessary! Size max 18cm in any directionDay 1: Replication. Students will make silicone moulds from items they wish to cast in glass. Examples: plastic/vinyl toy/action figure, anatomical models or small branch, unusual vegetable/fruit, seed pod. Items could also be modelled from Sculpey clay and fired ahead of attending the workshop. Glass options are discussed. Day 2: Wax pouring and hand-built moulds. Students pour multiple waxes from their silicone moulds, refine their wax models (add or subtract). Models are then weighed and various glass options are revisited. Once glass choice is determined pouring gates are added to models and then a silica based refractory mould is built around the wax models. Once moulds set up the wax is then steamed out. Meanwhile, glass is weighed, and cleaned. -Items are cast & annealed over the week. Divya Anantharaman is coming to nanopod: Hybrid Studio this April! From Victorian curiosity cabinets to Coney Island sideshows, gaff making has held it’s place in history, and our hearts. This class will teach students of all levels everything they need to know about proper taxidermy technique for very delicate specimen like chicks. We will go over the details that make a gaff truly convincing-or comical! Students are encouraged to get creative. Having been commissioned to work on natural oddities (like two faced or ‘Janus’ kittens) and supernatural freaks (many conjoined chick gaffs), the instructor will draw upon her experience to help students create memorable mounts. 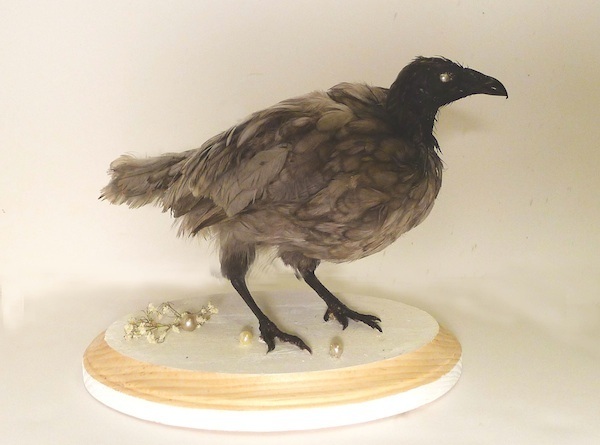 Students will learn everything involved in the production of a fully finished taxidermy mount, including initial preparation, hygiene and sanitary measures, fleshing, and dry preservation. Forms will be built using the tried and true traditional method of wrapped body, and various techniques will be presented for attaching the second head, with techniques that make a gaff seamless. 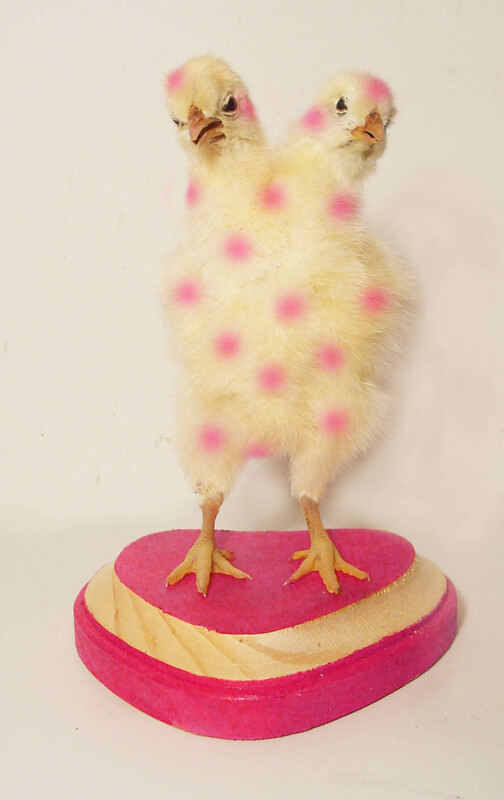 Once properly preserved, the chicks can be posed and outfitted as the student desires. Although a selection of props and accessories will be provided by the instructor, students are also welcome to bring their own accessories and bases; all other materials will supplied. As always, all specimen are ethically sourced. Opening Reception: Thursday April 3, 7-10pm Propeller Centre for Visual arts. These entwined ideas – which underlie Occam’s Razor – form a thread that links the realms of science and art. Scientists rely on Occam’s Razor, which holds that simpler explanations, all things being equal, are better than more complex ones, to refine their theories and experiments. 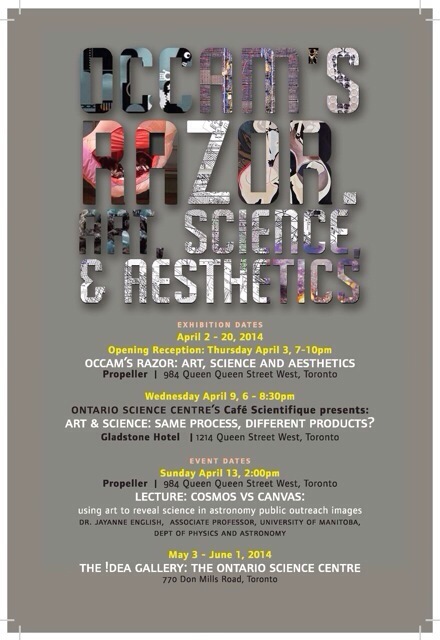 With reference to Occam’s Razor, the interdisciplinary discourse presented in this exhibition by Propeller Centre for the Visual Arts and the !dea Gallery at the Ontario Science Centre, seeks to narrow the cultural divide between Art and Science. 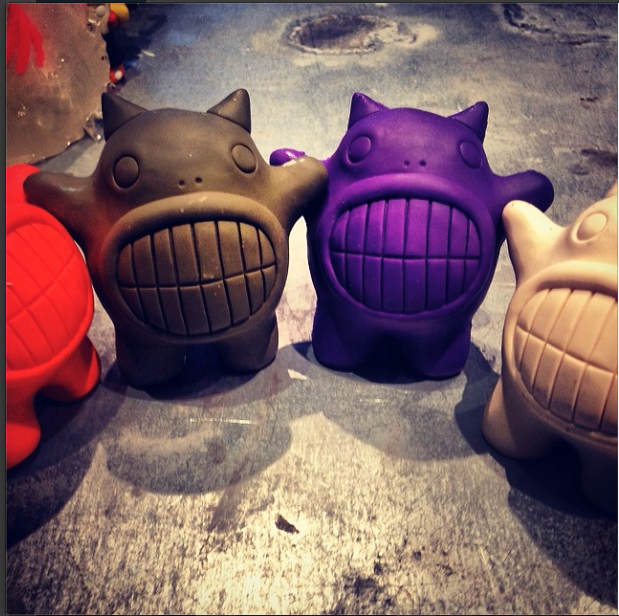 Mould Making workshops in Toronto! Mould making [working with silicone + polyurethane!] workshop! Learn how to make moulds! 3 student minimum, 6 Student max.